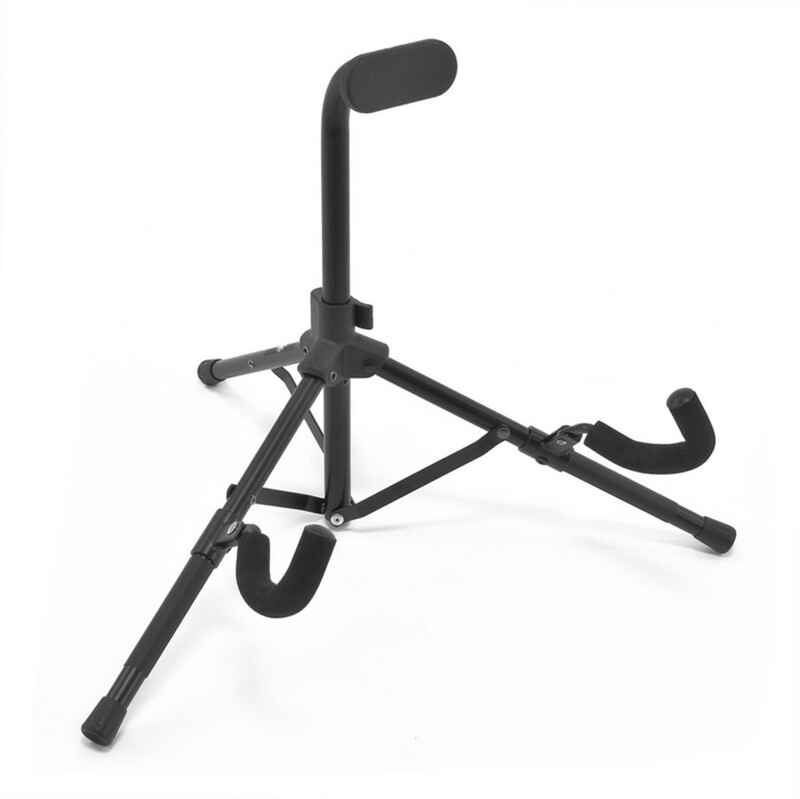 The Mini Foldable Electric Guitar Stand a great quality lightweight guitar stand, small enough to fit in your gig bag, that will provide a convenient and stable stand for most models of electric guitar and bass. This durable and high-quality guitar stand is designed to give safe and convenient support for your guitar, but at the same time take up as little space as possible. 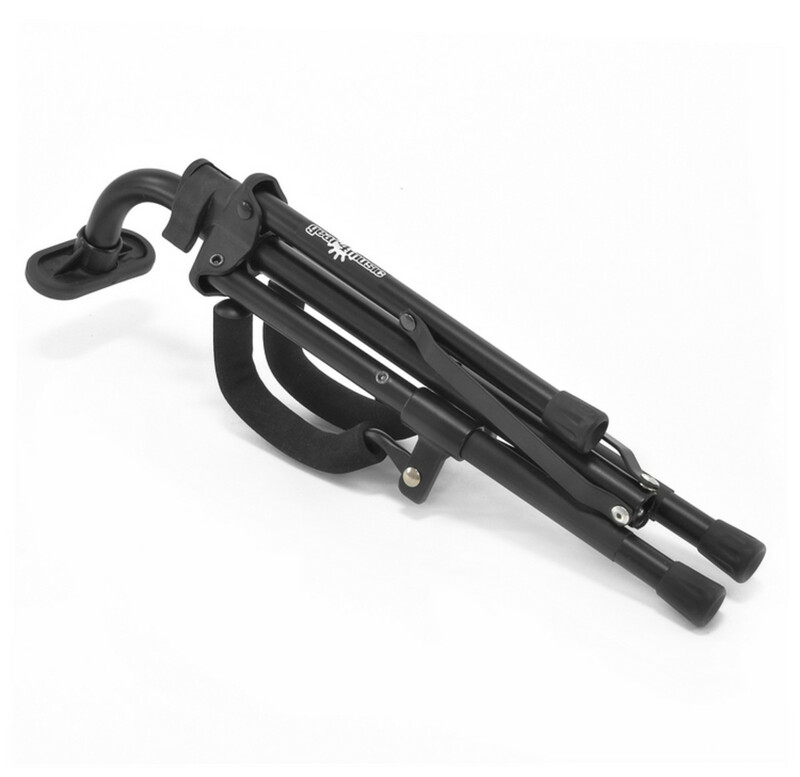 The stand is fully collapsible, and will fit in to the pocket of your gig bag, and is so light you won;t even notice, but at the same time it will provide an incredibly stable support for your electric guitar or bass.